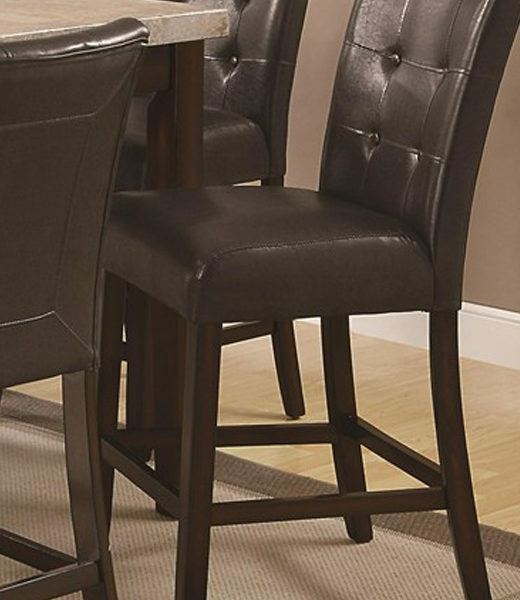 You can have an interesting and smart dining room setting with help from this bar stool. 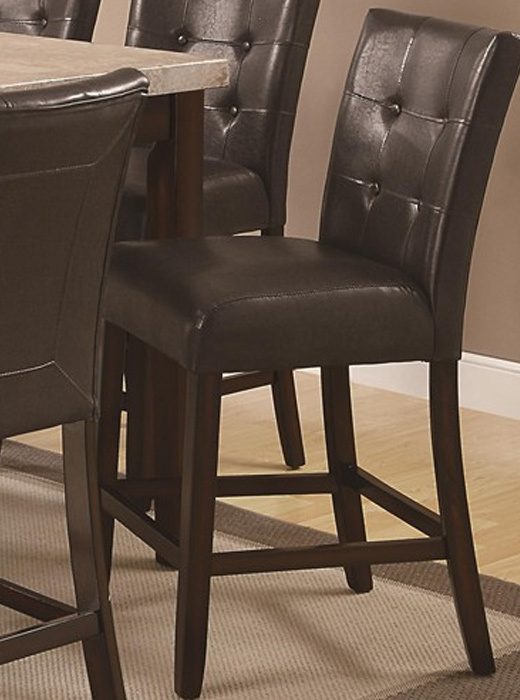 You can have an interesting and smart dining room setting with help from this bar stool. The piece carries a cappuccino finish and features an upholstered vinyl seat and back with tufting as well as sophisticated stitching. Make your home complete with this dining chair. Create the ultimate functional, comfortable, and aesthetically pleasing dining room setting in your home with help from the Milton collection. The square-shaped table carries a rich cappuccino finish and features a real marble top, which balances nicely with the tapered legs. Plus, the matching side chair consists an upholstered seat and back with tufting as well as sophisticated stitching while the server includes a wine rack. There will be lots to like with the Milton collection in your home.